A new crop of Maine lawmakers is sworn-in in the House Chamber, Wednesday, Dec., 5, 2018, at the State House in Augusta, Maine. 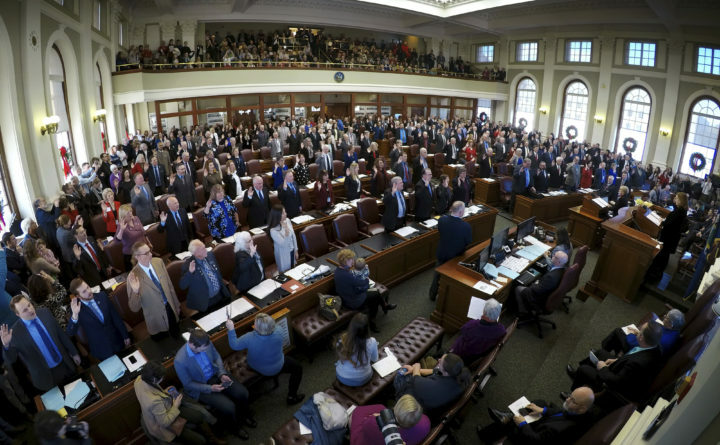 Democrats and Republicans will meet separately next week to nominate candidates for an open seat in the Maine House of Representatives that used to be held by Aaron Frey, a Bangor Democrat who recently replaced Gov. Janet Mills as the state’s attorney general. Members of both parties who live in House District 124 will caucus to choose nominees ahead of the special election March 12. The district includes the easternmost neighborhoods of Bangor, including some of the tree streets, and a rural section of Orono. 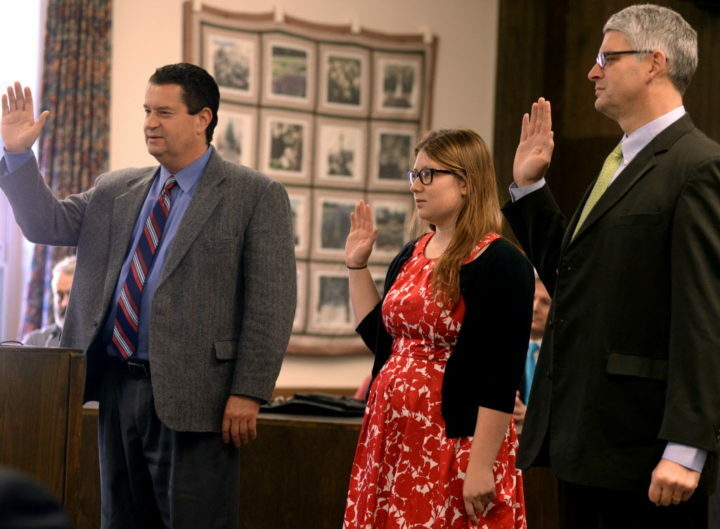 David Nealley (left), Sarah Nichols (center) and Joseph Perry are sworn in to the City Council at City Hall in Bangor in this Nov. 9, 2015, file photo. At 6 p.m. Tuesday, the Penobscot County Democratic Committee will hold a caucus at the historic Penobscot County Courthouse at 97 Hammond St. Two Democrats have already said they would like to be nominated, Bangor City Council Chair Sarah Nichols and Joe Perry, a recent Bangor city councilor who has previously served in the Maine House and Senate. The next night, at 6:30 p.m. Wednesday, the county’s Republican committee will hold its own caucus at the Crosspoint Church on outer Broadway. According to committee chair Brett Baber, three candidates have said they want to run for the seat: two recent candidates for public office, Jim LaBrecque and Daniel LaPointe, and a political newcomer, Thomas White. Only registered Democrats and Republicans who live in District 124 can participate in their respective party caucus. In Bangor, District 124 stretches between Essex Street and the Veazie town line, and includes a small area just outside downtown between York and Hancock streets, according to district maps. In Orono, the district is mostly bordered by Interstate 95 and the Old Town and Glenburn town lines. The district has leaned Democratic in recent elections, sending Frey to the State House for three terms and re-electing him with 63 percent of the vote last November. His opponent in that race was LaPointe, an Orono Republican. Gov. 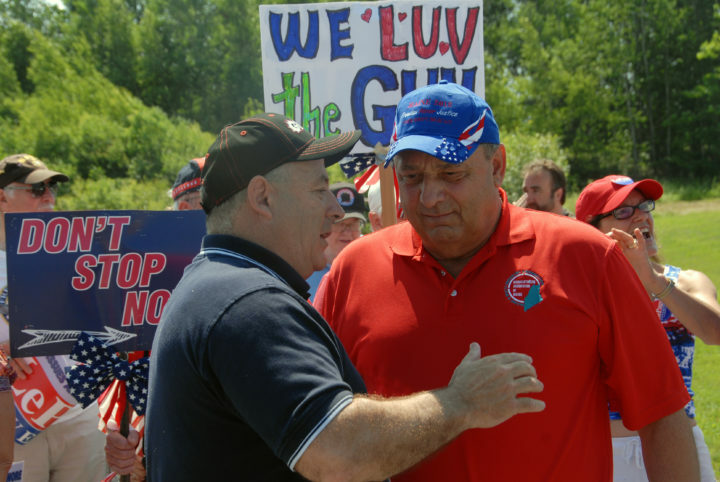 Paul LePage listens to one of his advisers, Jim LaBrecque, during assembly for the Fourth of July parade in Brewer on July 4, 2013. LaBrecque, a Republican who works as a refrigeration technician and was an adviser to former Gov. Paul LePage on energy issues, also ran for office in November. He couldn’t topple Sen. Geoffrey Gratwick, D-Bangor, who received 60 percent of the vote in that race. 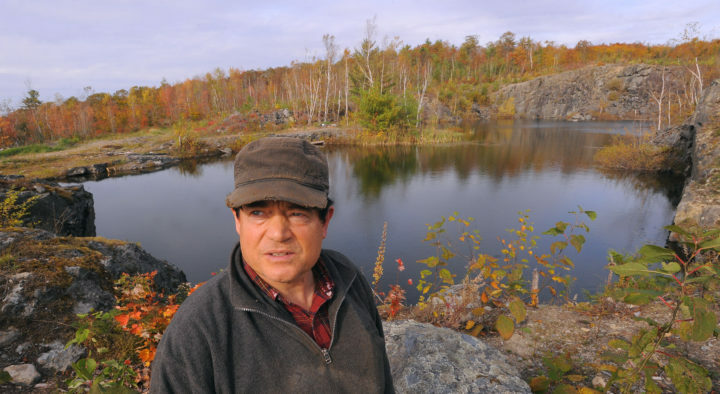 But LaBrecque caused a stir when his campaign sent out negative mailers that trumped up a misdemeanor charge Gratwick faced in 2001 for removing two beaver traps. LaPointe and LaBrecque didn’t respond to requests for information on Thursday. 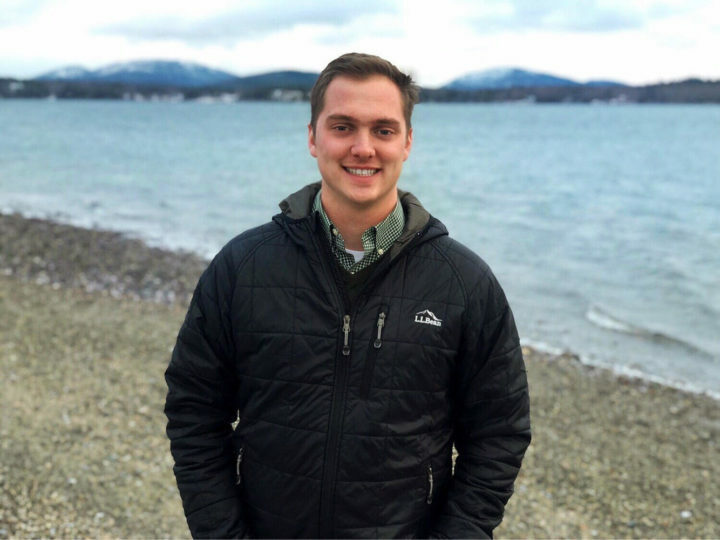 The third Republican who hopes to run for the District 124 seat is White, a 24-year-old graduate of Maine Maritime Academy who lives in Bangor. He works for the Procurement Technical Assistance Center, a program hosted by Eastern Maine Economic Development Corp. that helps small businesses across northern and eastern Maine apply for government contracts.